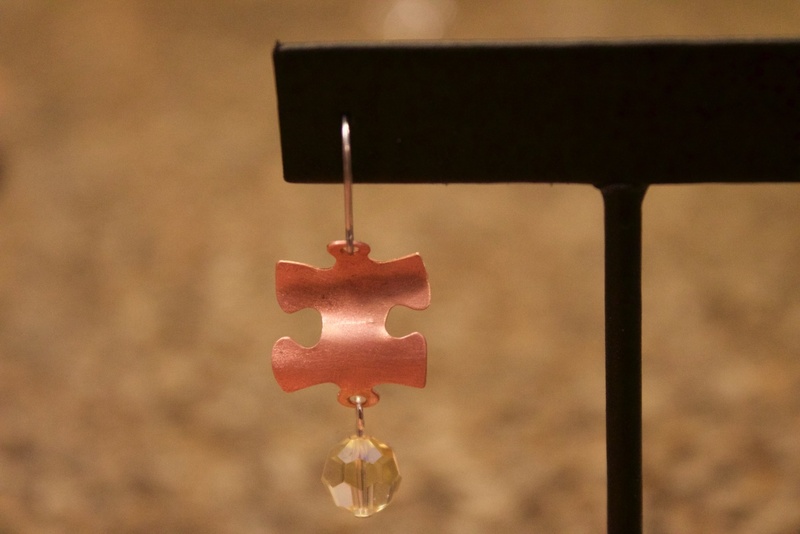 Puzzle (1) Copper Earrings Dangle with bead on surgical steel posts. Handmade and can be customized. Please add your preferred color in the comments.